I think I bought The Locavore’s Handbook: the Busy Person’s Guide to Eating Local on a Budget, by Leda Meredith, by accident – I was looking for books by Wildman Steve Brill, and books on foraging in New York City. Nevertheless, I am happy to have it – I inhaled it in one day! Meredith is a New Yorker, and she mostly gives information as to how to organize one’s life to eat local as much as possible, in order to reduce one’s carbon footprint – that said, she does give hints as to where you might look if you are in another part of the country. (The basics will apply if you live in another country, as well, but you will just have to find your own way to the resources). I’ll admit that, on differing levels, I knew most of this information (as I said, I bought this book by accident), but Meredith addresses a number of issues which are near and dear to my heart – I live in a tiny New York City apartment, and she suggests storage ideas that I might not have thought of. Meredith is not a raw foodist, or even a vegetarian, but I think we are all grown up enough that we can read books and get what we need from them. She talks extensively about foraging, community gardening, CSAs, food coops, food preservation (another topic near and dear to my heart) and home organization issues. In my reading, I have gotten quite a few ideas about how I can reorganize my kitchen and apartment to include more storage space. If you are interested in eating local or organic, and/or if you live in a tiny New York apartment, and you want to organize a locavore/vegan/raw vegan kitchen, this is the book for you. It’s really good. I have the kombucha scoby and the water kefir grains in the refrigerator. The Russell James Chef Homestudy course I’m going through now has, just this week, given me a very good grounding in what I need to do for kombucha and kefir brewing. I just like to read up on as much background as I can. Kombucha Kamp’s kombucha guide is concise and informative. I like it as a checklist for after I have read through the entire Cultures for Health book. Yemoos Nourishing Cultures’ kombucha FAQ has some useful information, as well. 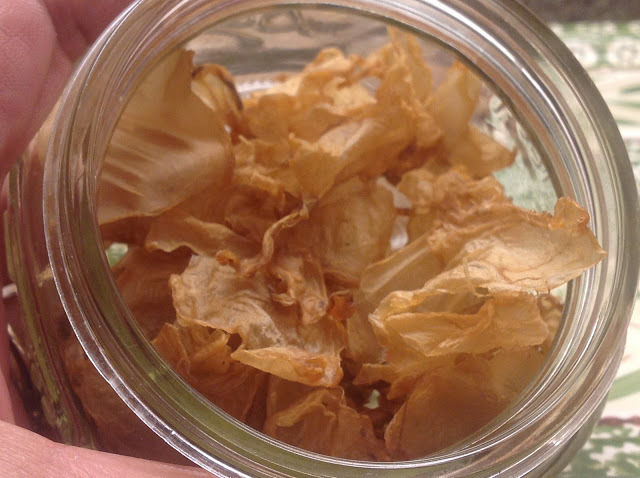 Drying kombucha – I kept trying to find out how to dehydrate kombucha, but never came up with anything much about using a dehydrator. Most of the info was about how to air dry it. I saw one mention of dehydrating at 105 degrees, but when I tried to follow that google link, I didn’t find anything further. It seems you are supposed to dry it to jerky consistency, but, on kombuchanana , which has some interesting ideas for what to do with dried scoby, I saw this picture where it looks pretty dry. Yemoos Nourishing Cultures has an extensive online water kefir “book” which covers just about anything you could want to know. Wellness Mama’s recipe promises Kefir soda .